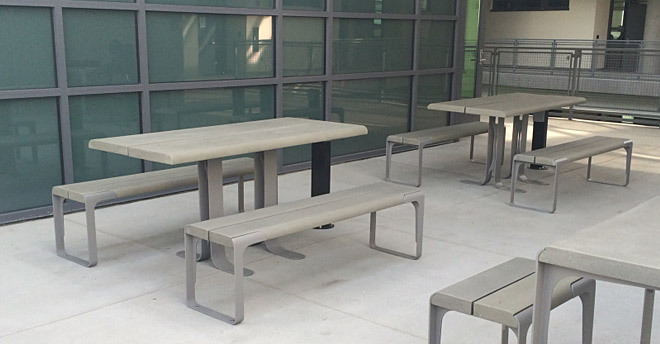 The Sync Picnic Table, is ideal for indoor or outdoor environments and features an ergonomically-contoured dual-planked surface, formed steel legs, and concealed hardware. 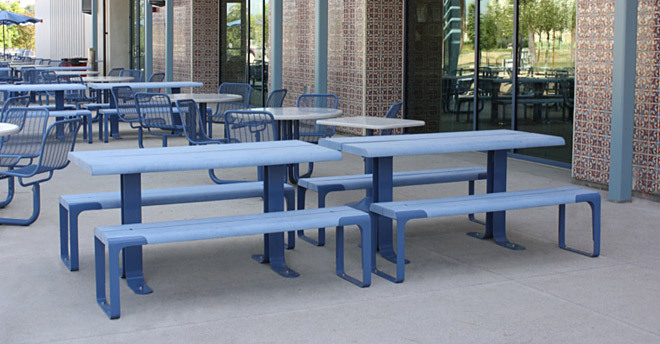 The dual-plank design is engineered for easy assembly and if necessary for individual planks to be easily replaced. 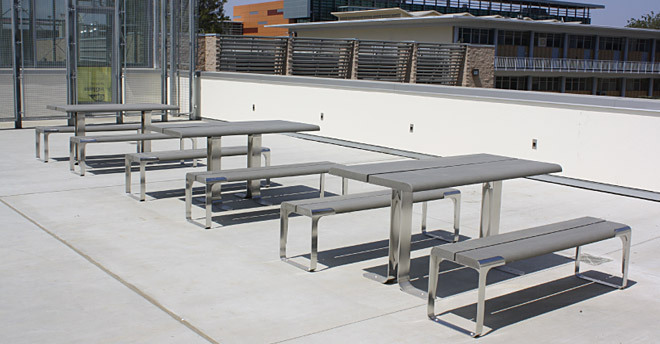 Installation options include: ADA, Free standing, Floor-mount. Made in the USA. 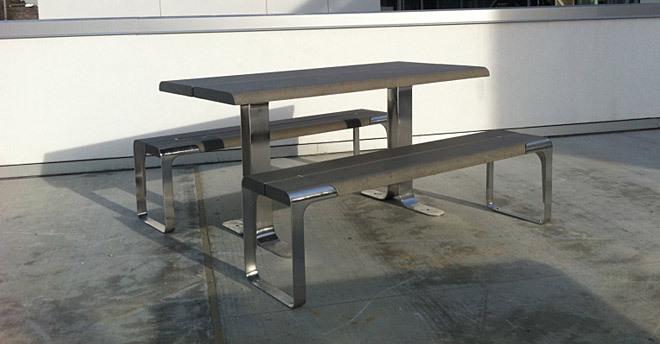 Varying sizes available, see spec sheet for dimensions.